Welcome to Armrests and Cupholders store. Our Armrests, Cupholders, and Drink Mugs provide comfort and convenience! Cupholder and armrest options can be a confusing topic. Please don't hesitate to call us with questions or special requests. Click " HERE" for information about Z3 console options. This unique flip over design allows for two hidden cupholders to "flip over" and make for a secure way to hold your drinks. The drink holders are spring loaded and adjustable to fit most drink containers. This unit fits ALL models of Z3 and ///M roadster and coupe. Very easy to install. 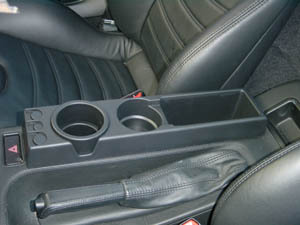 You may need the small storage tray (below) in front of the cupholders. 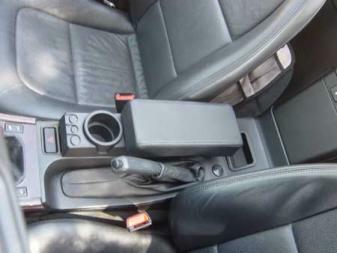 This Storage Bin is what you need if you want to use the Z3 Armrest (pictured above) without the BMW Z3 Cupholder Console. This storage bin fits all Z3's and ///M roadsters and coupes regardless of model year. If you have queswtions don't hesitate to give us a call. Here is what older 3/5/7 series owners have been waiting for - an official BMW answer for where to put your beverage. The universal cupholder mounts to most every BMW door pocket without drilling holes or using adhesives. By tightening two thumb screws it securely attaches to either drivers or passengers door map pocket. Comes with a removable sizing ring for larger "big gulp" containers. Will not fit Z8. This beverage holder console is a standard ORIGINAL BMW factory part which fits all BMW Z3 roadsters and coupes and ///M roadsters and coupes regardless of model year. An improvement over previous models as beverages are within easy reach. Coin holder and storage compartment increase its utility. Installs in seconds. Sold here WITHOUT armrest offered below. Color is BLACK. 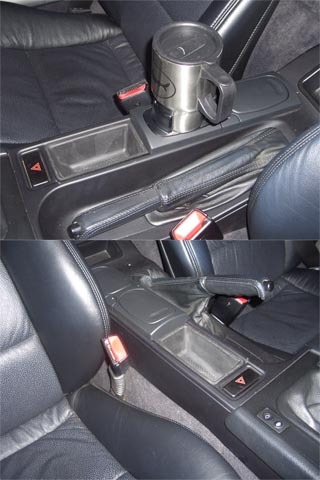 Another cupholder option is our Z3 Door Pocket Cupholder seen elsewhere on this page. CLICK on the picture or title for attachment information. 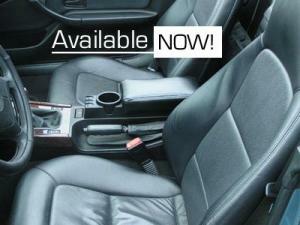 The armrest is available for use WITH or WITHOUT the BMW Cupholder Console base. Available in BLACK ONLY. Here is an innovative, easy to install accessory that adds comfort and utility to any Z3. The base unit is the standard BMW factory part. If you don't already have one we offer it above as a kit with the armrest. 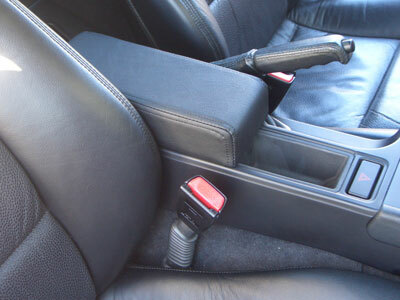 This unique design is offered with or without the factory cupholder console shown. ---- Shown below without the Cupholder Console base. Price is for armrest only. Select model for application on checkout. Can be easily adapted for right-hand-drive Z3s. Z3 Ashtray - Smokers Package. 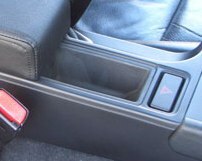 This easy to install kit converts the space next to the emergency brake handle into an ashtray (forward) and flip over drink holder (rear). Cigarette Ligher Element, Drink holder, and Ashtray are included. The drink holders are spring loaded and adjustable to fit most drink containers. These OFFICIAL BMW parts install with only a screwdriver! This package will fit all Z3's, ///M roadster and coupes. 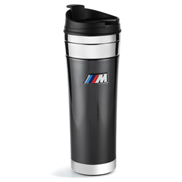 This Ash Cup is what you need if you want to use the BMW Z3 Cupholder Console. Fits perfictly into the front cup holder. 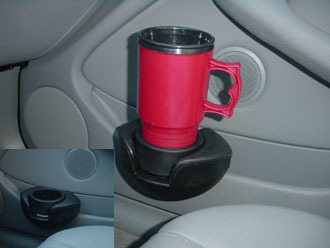 It can also be used with our Z3 Door Pocket Cupholder. CLICK on the picture or title for additional images. If you have questions don't hesitate to give us a call. 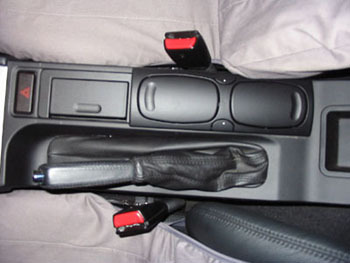 CLICK on the picture of title for armrest attachment information. This kit combines the armrest shown above with the BMW factory cupholder console base unit. Base unit has two cupholders, coin holder, and storage box as shown above. Fits all models and years of Z3 and M roadsters/coupes. Easy to install. Armrest in BLACK ONLY. 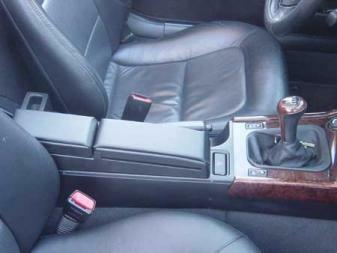 Armrest can be easily adapted for a right-hand-drive Z3. If you are looking for just the console or just the armrest see below. Once again AVAILABLE in limited quantities. Have you lost the drink RING in your cupholder console. We can provide a replacement RING (in front drink holder) if you have lost yours. This is for a replacement RING only.